Our customers can rest assured that all of our products come with a guarantee of the precious metal content through the 700-year-old practice of third party independent hallmarking. The 1973 Hallmarking Act makes it unlawful to describe an item over a certain weight as gold, silver, platinum or palladium without an independantly applied Hallmark. Articles below these exemption weights may be described as Gold, Silver, Palladium or Platinum without the need for a hallmark. 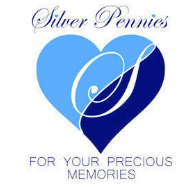 All goods remain property of Silver Pennies Ltd until payment has been recieved in full. All good paid for will be dispatched no later than the next working day. Our aim is to dispatch all orders recieved before 2pm on the same day. Goods may be returned within 30 days for a full refund as long as they are unused, with tags (where fitted) inact and unbroken. Earrings of course are exempt from this for hygein reasons. None of this affects your rights under the consumer act. If you are unhappy tell us and we will put it right. If you are happy, tell others.